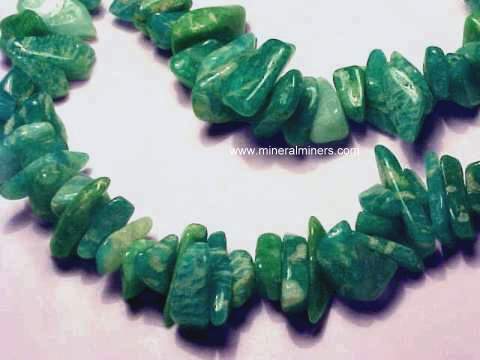 Try our Natural Color Amazonite Lapidary Rough Satisfaction Guarantee - compare our prices and our superior quality. Click on any of our natural amazonite rough specimen images below to enlarge it. Amazonite Rough Dimensions: 5" x 2.3" x 1.7"
This natural amazonite mineral specimen is good lapidary grade with light to medium blue-green natural color. It is a nice amazonite mineral specimen just as it is, although it could also be used as lapidary rough. This amazonite specimen also has a small amount of gray semi-transparent quartz at one end. Amazonite Rough Dimensions: 7.3" x 2.4" x 1.8"
This natural amazonite mineral specimen is lapidary grade with strong blue-green natural color inside. It makes a nice unique amazonite mineral specimen just as it is, although it could also be used as lapidary rough. Amazonite Rough Dimensions: 4.6" x 3.8" x 2.2"
This natural amazonite mineral specimen is lapidary grade with blue-green natural colors. It is a great amazonite mineral specimen just as it is, although it could also be used as lapidary rough. Amazonite Rough Dimensions: 7" x 2.4" x 2.4"
This natural amazonite mineral specimen has a relatively long rectangular shape. It is lapidary grade with natural blue-green colors. It is a nice amazonite decorator mineral specimen just as it is, although it could also be used as lapidary rough. See also a side view of this amazonite rough specimen. Amazonite Rough Dimensions: 5.3" x 4" x 3.3"
This specimen of natural color medium greenish-blue amazonite has some translucent white albite feldspar, some gray semi-transparent quartz, and a small amount of black biotite mica. The albite & quartz crystal form some graphic granite patterns within the amazonite. See an opposite side view of this amazonite with albite specimen. Amazonite Rough Dimensions: 6.5" x 5.5" x 4.5"
This specimen of natural color medium greenish-blue amazonite has some translucent white albite feldspar, some gray semi-transparent quartz, and a small amount of black biotite mica. See an opposite side view of this large amazonite specimen. Amazonite Rough Dimensions: 8.5" x 5.2" x 2.2"
This natural amazonite mineral specimen has a relatively flat shape. 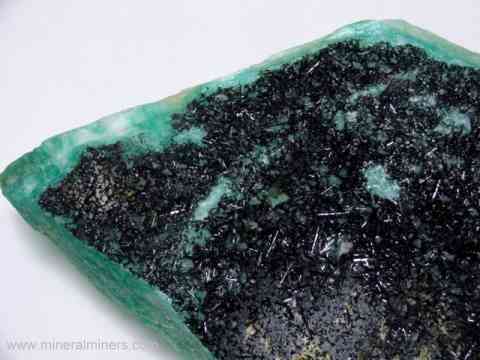 It is lapidary grade with natural blue-green colors. It is a nice amazonite decorator mineral specimen just as it is, although it could also be used as lapidary rough. Amazonite Rough Dimensions: 9.5" x 4.2" x 2.8"
This natural color amazonite decorator mineral specimen is lapidary grade with areas ranging from nearly colorless to deep blue-green. It has hundreds of tiny acicular black tourmaline crystals on the upper surface as shown in the close-up photo at left. See also a full view of this amazonite decorator mineral specimen. This amazonite rough piece makes a very nice amazonite decorator mineral specimen just as it is, although it could also be used as lapidary rough. Amazonite Rough Dimensions: 10" x 5.3" x 3"
This natural amazonite decorator mineral specimen is lapidary grade with natural blue-green colors. There are some clay minerals on some surfaces. It makes a very nice amazonite decorator mineral specimen just as it is, although it could also be used as lapidary rough. See also an opposite side view of this amazonite decorator specimen. Amazonite Rough Dimensions: 7.5" x 6" x 3.6"
This natural amazonite decorator mineral specimen is lapidary grade with natural blue-green colors. There are some clay minerals on some surfaces and a small amount of tiny black tourmalines on one side. See another view of this amazonite rough decorator specimen. It makes a very nice amazonite decorator mineral specimen just as it is, although it could also be used as lapidary rough. See also an opposite side view of this amazonite decorator specimen. Amazonite Rough Dimensions: 13" x 6" x 1.6"
This 13 inch long amazonite decorator mineral specimen has a relatively thin flat shape. It is lapidary grade with natural blue-green colors. There are a small amount clay minerals and albite on some surfaces and also a small mass of tiny black tourmalines on one side. It makes a very nice amazonite decorator mineral specimen just as it is, although it could also be used as lapidary rough. See also an opposite side view of this amazonite decorator specimen. Amazonite Rough Dimensions: 12" x 5" x 3.5"
This large decorator specimen of natural amazonite has light to medium blue-green natural color. It makes a fantastic amazonite decorator specimen just as it is, although it could also be used as amazonite lapidary rough for making cabs, spheres, bookends, and carvings. Along one side is a thin layer of clay minerals and albite. Some surfaces are frosty. See an opposite side view of this amazonite decorator specimen. See also another view of this amazonite decorator mineral specimen. Amazonite Rough Dimensions: 14" x 6.75" x 3.2"
This 14 inch long amazonite decorator mineral specimen has a relatively thin flat shape. It is superior lapidary grade with natural deep greenish blue colors. There are a small amount of clay minerals on some surfaces. It makes a very nice amazonite decorator mineral specimen just as it is, although it could also be used as lapidary rough. See also an opposite side view of this amazonite decorator specimen. Amazonite Rough Dimensions: 7.5" x 6.8" x 6.2"
This large decorator specimen of natural amazonite has a block shape with medium blue-green natural color. It makes a great amazonite decorator specimen just as it is, although it could also be used as amazonite lapidary rough. There is a small amount of clay minerals on some surfaces, and some surfaces are frosty. See an opposite side view of this large amazonite decorator specimen. Amazonite Rough Dimensions: 14.5" x 9" x 6""
This large size amazonite decorator specimen has medium blue-green natural color. It makes a wonderful amazonite decorator specimen just as it is, although it could also be used as amazonite lapidary rough. See an opposite side view of this amazonite decorator specimen. Our Amazonite Lapidary Rough is all natural color amazonite! Many of our amazonite mineral specimens have superb color and are excellent for lapidary use. We have lapidary rough of many other mineral varieties available! 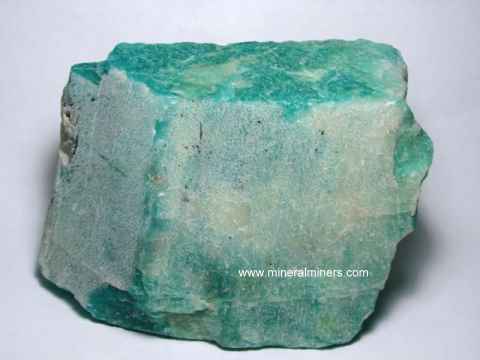 Be sure to see also our natural color chrysoprase mineral specimens and chrysoprase rough for lapidary use. 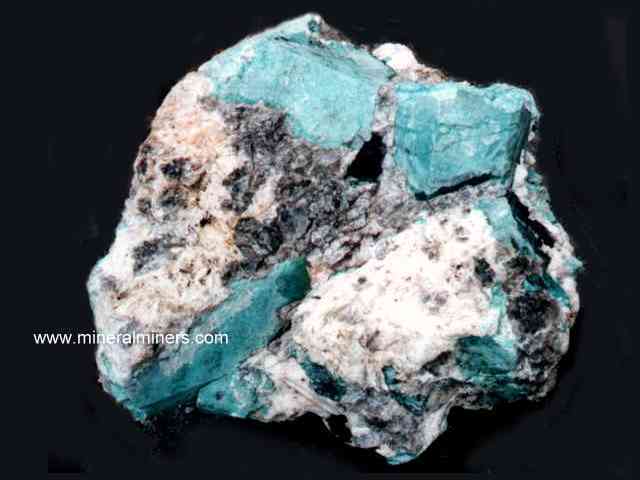 See also our page displaying natural color amazonite mineral specimens. Many of our amazonite mineral specimens are lapidary grade. We also have some very large amazonite decorator specimens in stock that weigh hundreds of pounds each. 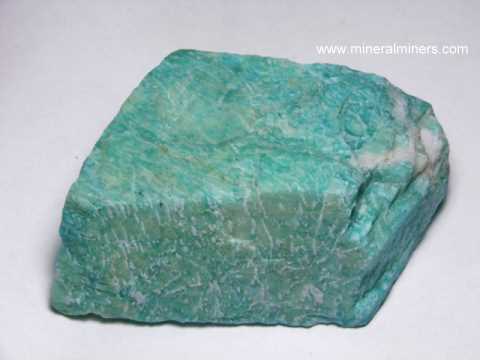 Amazonite is a rare green variety of microcline feldspar. 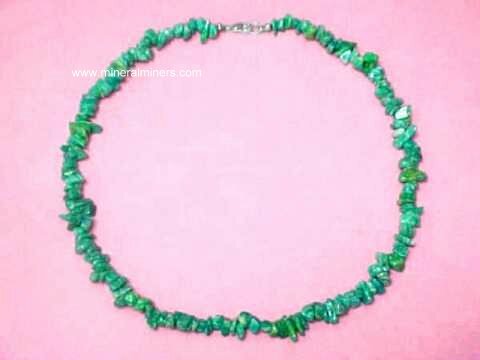 We do have handcrafted natural amazonite jewelry available. 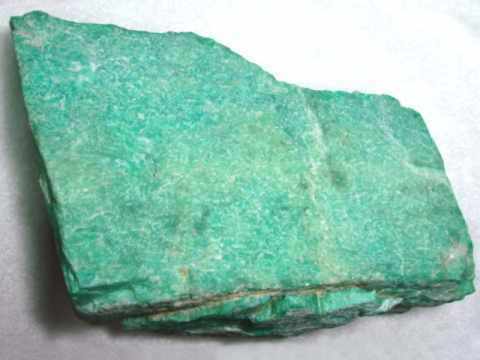 To learn more about natural amazonite see our amazonite feldspar information page. Please see the links below for natural amazonite products including amazonite crystals, mineral specimens and amazonite jewelry! 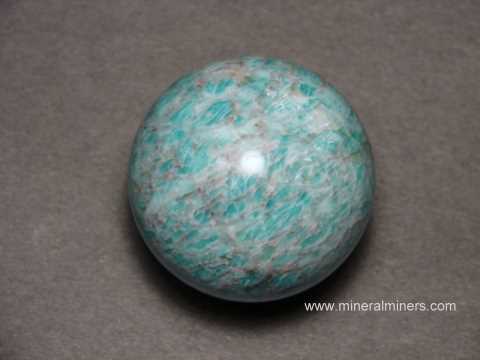 See also our page displaying genuine Amazonite Spheres. Information about genuine amazonite and its history, physical properties, chemistry, occurance, and metaphysical uses is displayed on our amazonite information page. Would you like us to inform you when we add more lapidary grade natural color blue-green amazonite feldspar mineral specimens on this page? Please contact our webmaster, regarding natural amazonite lapidary grade rough or our 'site' geologist with any questions or comments.